Many Americans are disgusted with the options on this November's ballot. But Air Canada thinks those considering a move to the Great White North should visit the country before filing immigration papers. Former Secretary of State Hillary Clinton and businessman Donald Trump are entering the general election with unusually high unfavorable ratings, which means millions of Americans are typing "moving to Canada" into search engines. However, Air Canada thinks Americans disgusted with their political system should take things one step at a time. The airline is encouraging its neighbors to the south to "test drive Canada" with a visit or a vacation (and then return to the States) in a digital campaign aimed at residents of New York, Los Angeles, Boston, San Francisco, and Washington, D.C. 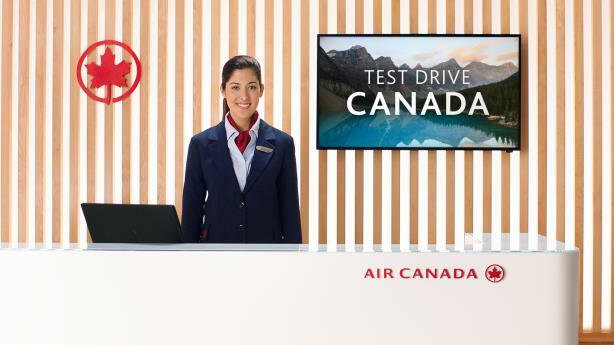 The carrier is touting its 240 daily nonstop flights from 55 U.S. cities to six destinations in Canada – Toronto, Montreal, Vancouver, Calgary, Ottawa, and Halifax – with videos, the hashtag #TestDriveCanada, and personalized responses on social media. Creative agency J. Walter Thompson Canada, media firm Mindshare, and PR shop Spafax Content Marketing Americas worked on the campaign.